The establishment politicians in the Republican Party cannot understand why conservative voters, including both native-born citizens and legal immigrants, are enthusiastically embracing outsider presidential candidates such as Donald Trump, Ted Cruz, and Ben Carson. Do you want to know why this is happening? Paul Ryan just spearheaded an atrocious $1.1 trillion budget that gives the Obama administration pretty much everything that it demanded. Ryan didn’t even put up a fight. He caved in. He threw in the towel. He cried “Uncle!” He was fitted for a costume like the Cowardly Lion. The Ryan-Obama bill fully funds DACA, which is President Obama’s executive action also know as Deferred Action for Childhood Arrivals. Under DACA, approximately 700,000 illegal aliens have received work permits, tax credits, and federal entitlement programs – and the American taxpayer foots the bill for all of it. The Ryan-Obama budget also fully funds Obama’s 2012 “DREAMers” executive amnesty for illegal aliens who unlawfully entered the United States as minors. Paul Ryan is on record as saying that it is his job as a lawmaker to put himself in the shoes of “the DREAMer who is waiting.” Ryan would be a lot better off putting himself in the shoes of the legal immigrant who played by the rules. The Ryan-Obama debacle fully funds sanctuary cities. Paul Ryan could not care less about Kate Steinle or any other America killed by an illegal alien. He simply doesn’t care. Instead, he throws more federal grant money at lawless sanctuary cities such as San Francisco. The Ryan-Obama budget also fully funds all refugee programs. Countless refugees from all over the globe will now stream into the United States and get full access to federal benefits. American taxpayers will get full access to the bill. 130 people were slaughtered in Paris on November 13, and at least two of the Muslim terrorists entered the European Union by hiding among Syrian refugees. It will probably happen in the United States at some point, too, but Paul Ryan doesn’t care. He thinks he’s being “compassionate.” Compassion kills. The Ryan-Obama bill continues to fully fund all other immigration programs that terrorists have been taking advantage of for years, going all the way back to prior to 9/11. Ryan throws more money at the F-1 student visa program, the K-1 fiancee visa program, other refugee programs, and more. Ryan makes no attempt to restrict immigration from Middle Eastern or Muslim-majority nations where terrorists train. Apparently Ryan never heard the news that one of those K-1 fiancees from the Middle East just slaughtered 14 people in San Bernardino. The Ryan-Obama budget also enthusiastically funds “Refugee and Entrant Assistance.” This means even more of your hard-earned taxpayer dollars being thrown at illegal immigrants. The Ryan-Obama debacle also will quadruple the number of H-2B visas for unskilled foreign workers. This will allow employers to hire more unskilled aliens at lower wages and more backbreaking hours. If you’re an unskilled American worker, you can kiss your job good-bye! 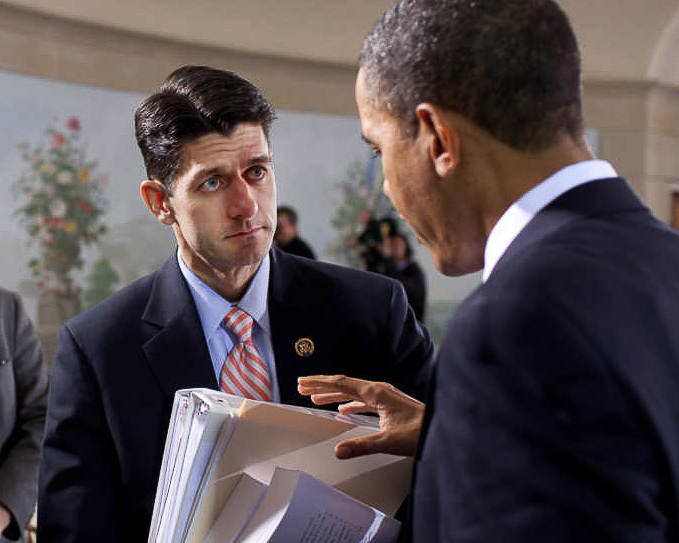 The Ryan-Obama bill will also continue to give child tax credits to illegal aliens. All this does is encourage illegals to have more babies in the United States, happily knowing that you and I will foot the bill. The Ryan-Obama budget does not include even $1 to build a double-layer border fence. Ryan and Obama much prefer border fences built out of Swiss cheese. Paul Ryan and establishment Republicans have suckered conservatives and legal immigrants long enough. Ryan has played us for fools. We heartily recommend that Paul Ryan change his party affiliation to Democrat, since that is what he really is. An establishment Republican like Paul Ryan is no better than any Democrat. Legal Immigrants For America (LIFA) will spend 2016 holding politicians’ feet to the fire on issues affecting legal and illegal immigration. We cannot afford to let Paul Ryan and establishment politicians continue to ruin this nation! Please support LIFA as we lobby politicians in Washington and all across the nation in the coming year. LIFA will be a strong and impactful voice in Congress and from coast to coast! Please makes as generous a gift as possible to support the nation-saving work of LIFA. We urgently need your support, and we are very grateful to you for as generous a gift as you can provide! Please donate online at www.GoLifa.com and please send your most generous gift to LIFA as soon as possible! Support LIFA online at www.GoLifa.com. Text LIFA to 53445 for immigration news and updates. 2016, border, homeland security, illegal immigrants, invasion, Legal Immigrants For America, LIFA, Paul Ryan, politics, refugee, resettlement, sanctuary city. Bookmark. It’s shocking that none of the politicians care about the state of this country. All is OK as long as they ALL get their money. From the top down they are all on the take. I give no more donations to any of them! Why do most of the elected want to dump Trump? He’s not on the take an none of them will get my donations.